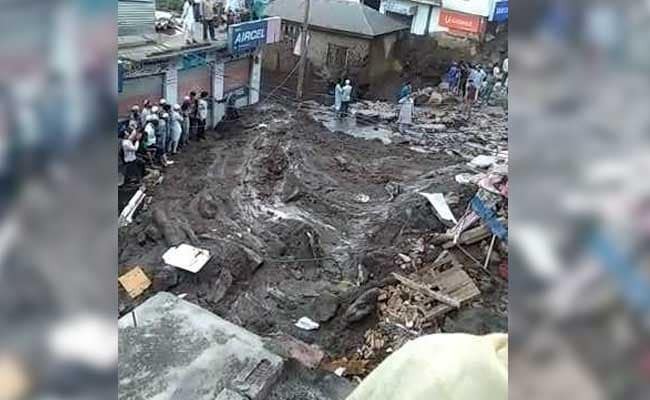 Eleven people have been injured and several houses and shops damaged in the cloudburst in Doda district in Jammu and Kashmir. Heavy rainfall and cloud burst were reported from Jammu and Kashmir's Doda region. 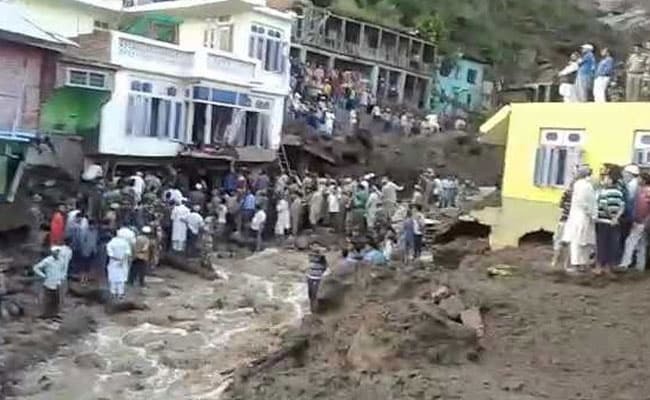 Six people have died in Doda district of Jammu and Kashmir after heavy rains and cloudburst were reported in the region last night. Their bodies were recovered by the authorities today. Police said 11 people have been injured and several houses and shops have been damaged. A school building has also been damaged. "Flash floods triggered by cloudburst hit Thathri town at 2.20 am resulting in a massive increase in the level of the 'nullah' flowing along the Jamai Masjid locality close to the town," news agency quoted a police officer. Doda, which falls in the Jammu region, has witnessed heavy rainfall this monsoon. Deputy Superintendent of Police (headquarters) Doda, Iftkhar Ahmed, said the water level and silt suddenly rose in the drain after the cloudburst, washing away several structures along its path leading to the main market. "Several others are still under the debris and more casualties cannot be ruled out," he said. Last week too, heavy rainfall was reported in Doda district. Earlier this week, landslides due to heavy rains in Jammu and Kashmir's Ramban district had forced the authorities to temporarily suspend traffic on the arterial Jammu-Srinagar national highway that connects Jammu and the Kashmir valley. Doda, which falls in the Jammu region, has witnessed heavy rainfall this monsoon. Heavy rainfall has led to flash floods and landslides in many parts of the country including Assam, Manipur and Odisha. In April, the Jhelum river in the state started flowing above the danger mark forcing the administration to issue a flood alert in the Valley. Kashmir had witnessed unprecedented floods in 2014 when most of the residential areas, including in Srinagar, were inundated by waters up to the level of several feet.